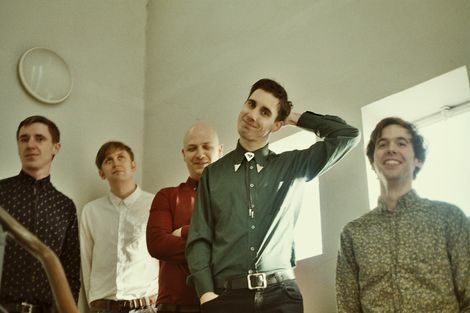 Liverpool band ramp up anticipation ahead of debut album Performance. 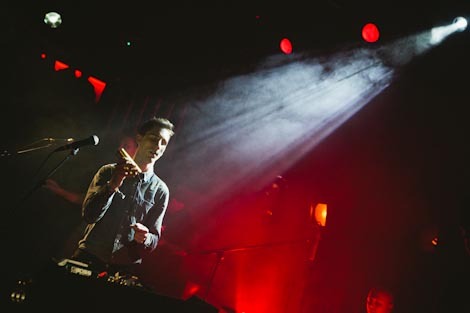 The Liverpool band shared the fruits of Performance, their much anticipated debut album due for release late summer, at a triumphant Kazimier display on the closing night of Liverpool Sound City. The band, who play Brighton’s Basement tomorrow as part of Great Escape, are heading out on a mini UK tour this month calling at Bristol, London, Manchester and Stockton-on-Tees playing new material from a side project, the Electronic Voice Phenomena. Getintothis covered the Liverpool leg of the tour last night which called at St George’s Hall – stay tuned for a review and pictures.